BLOOMINGTON, Ind. -- The Indiana University Athletics Department and the IU Gay, Lesbian, Bisexual and Transgender Alumni Association are announcing the first-ever LGBT Appreciation Day on Oct. 30, when the Hoosiers play the University of Northwestern Wildcats in football at Memorial Stadium. IU Athletics has partnered with the IU Alumni Association to offer special $20 fan-pack pricing to LGBT game attendees, along with their friends allies and families. The LGBT fan pack consists of a game ticket, hot dog, popcorn and soft drink at the game, and a T-shirt -- a $60 value. "We want to show that we really value the support that the LGBT community has shown IU Athletics this year," says Senior Assistant Athletic Director Pat Kraft. To take advantage of this offer, attendees must purchase their LGBT fan pack in advance by contacting the IU Alumni Association. "I want to say 'thank you' to all our LGBT fans," said Hoosier football head coach Bill Lynch. "Join us Oct.30 as we take on the Northwestern Wildcats and help us make this a day to remember!" LGBT Appreciation Day pricing is extended to LGBT friends at Northwestern as well. "Inclusion is bigger than one team, one school," said IUAA Executive Director JT. Forbes. "We encourage all in the LGBT community to come, socialize and have fun -- then root for your team!" LGBT Appreciation Day participants also can enjoy the tailgate party atmosphere at Hoosier Village, adjacent to Memorial Stadium, prior to the game. Hoosier Village features entertainment, activities and games for all ages, a live pregame radio show with the IU Football Radio Network and plenty of Hoosier spirit to get fired up for the game. Attendance at Hoosier Village is free, with all-you-can-eat tailgate buffet and beverages available for purchase. With advance registration, the tailgate buffet costs $15 for adults, $6 for children ages 12 and under and is free for Little Hoosiers, ages 2 and under. On game day, the buffet costs $15 for all ages. The Hoosier Village tailgate is separate from the $20 fan pack offer. To register for Hoosier Village or to purchase the $20 fan pack, contact Sarah Pappano at the IU Alumni Association, at 800- 824-3044, 812-855-6120 or at glbtaa@indiana.edu. The IU GLBTAA works to support its members and to facilitate dialogue, foster relationships, and improve the campus environment for IU GLBT students, faculty, staff, alumni, and allies. 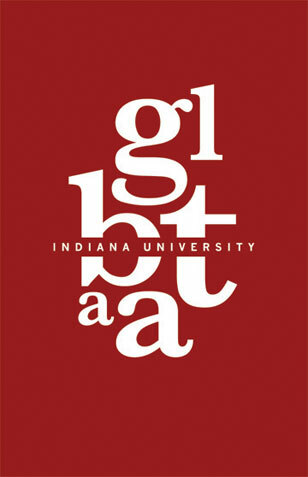 The GLBTAA is a constituent group of the IU Alumni Association. The IU Alumni Association is dedicated to serving the university and its diverse alumni, students, and friends. As one of the nation's largest alumni organizations, serving more than 540,000 graduates worldwide, the IUAA provides many programs and services to its members, nonmember alumni, and the university. For information, visit www.alumni.indiana.edu or call 800-824-3044.